MANCHESTER, UK. AUGUST 2014. 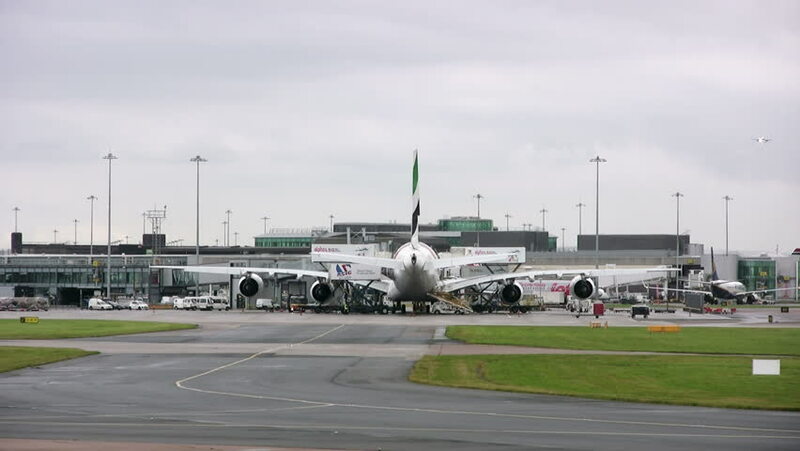 Emirates airline Airbus A380 undergoing ground handling procedures at Manchester Airport as it prepares to leave on the Emirates Manchester to Dubai service.